-Pleb Urban Winery is under construction at Foundation Studios on Lyman Street in Asheville’s River Arts District. Construction permits show the new “urban winery” will have an event space, tasting room and barrel storage in a former warehouse. -Waku Waku is the name of a new Japanese restaurant planned for the former Jersey Mike’s space on Merrimon Avenue in north Asheville. -Work continues on One World Brewing’s second location on Haywood Road in West Asheville. -National Geographic Traveler magazine has named Asheville one of The Best Cities in the United States, citing its crafts and craft beer scene. -Former Asheville Citizen-Times reporter Hayley Benton has been hired to replace Aubrie Shramko as the Asheville Independent Restaurant Association’s director of membership and partnership. -Tree houses are popular in Asheville as short-term rental destinations. Here’s a progress report on a new one, by WorldTreehouses.com. –ApartmentList.com publishes an annual renter survey, and this year the survey gave Asheville an A for overall satisfaction and an F for public transit, affordability and jobs and career opportunities. -JamBase has video of Asheville funk/soul band Travers Brothership recording session at Echo Mountain Studios. The session was part of IAmAVL’s Echo Sessions, which airs statewide on PBS. -There’s a nice roundup on TavernVoices.com of three projects in the works around Asheville: a residential project on Haywood Road at Beacham’s Curve; the planned redevelopment of the aging Overlook Village shopping center on Tunnel Road; and the planned major redevelopment of the Sears store at the Asheville Mall. 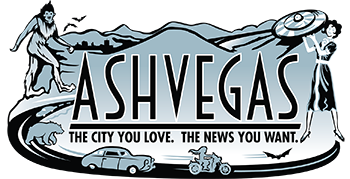 -Good reference material here: the city of Asheville’s list of 2018 festivals and events. -The first Songsmith Gathering is happening April 21 on the campus of Brevard Music Center down in Brevard. The event features performances by The Wood Brothers, Darrell Scott, Beth Wood, Nicki Bluhm, Sarah Siskind and more. God, I get so sick of hearing about “tasting rooms.” I loved the booze boom at first because for once and at last, someone was manufacturing a tangible product here in Asheville. Then, however, the boom fell prey to the same lack of creativity that has long kept Asheville job opportunities, along with wages, in the crapper. Once someone does something here, everyone else has to do variations on that same theme until the end of time. One brewery/distillery/winery/tasting room? Let’s have seventy more! One taco shop? Let’s have fifty more! One hotel downtown? Let’s have ten more! If someone were to be all crazy bold and open up — I dunno — an artisanal, craft, fair-trade, shade-grown steering wheel cover factory, there’d be fifteen more of them within six months.